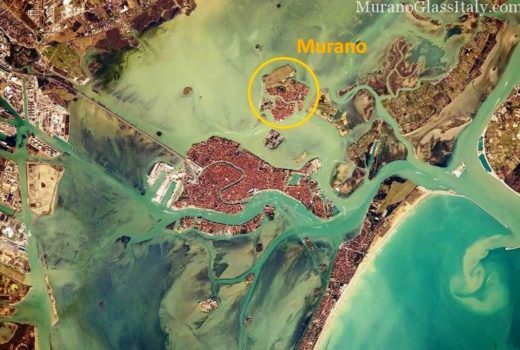 Never been to Murano Island or want to expand your knowledge of it? 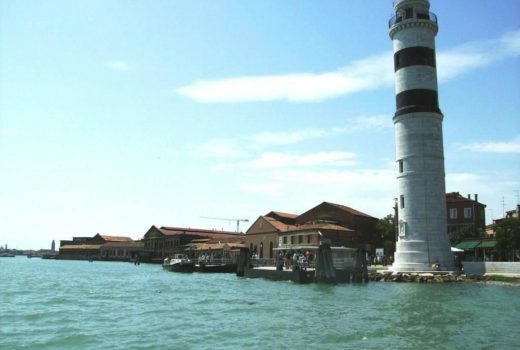 Let us take you through its dynamic history to enhance your trip to the Island of Murano in the Venice Lagoon. Murano Island spans just over a square kilometer, and is actually composed of seven small islands linked together by bridges. 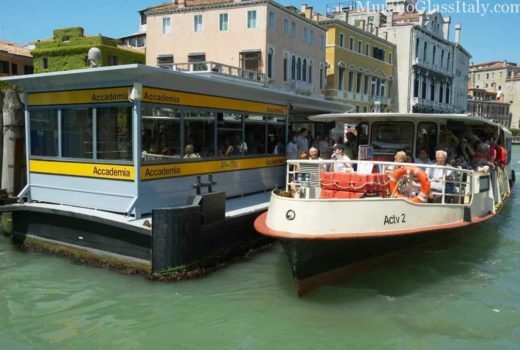 It is only 1.5 kilometers from Venice and is easily accessible by Vaporetti, Venice’s public transportation boats. Once you are on the island of Murano, you can easily visit the entire frazione (Italian for village) by foot. Murano Island came to life the same time as Venice. It was first a fishing port, that turned into a salt producer and a trading center. Finally, in the late 13th century, it started its legend as the island of glassmakers. They came from Venice to continue their business. 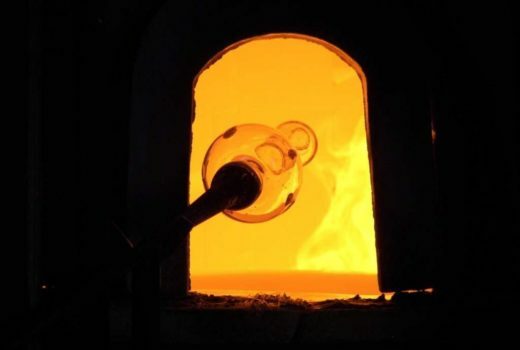 The extreme heat from the furnaces needed to make glass was too dangerous to have in the wooden Venetian buildings. Glass bottle in a furnace for making glass during demonstration at a Murano glass factory in Murano. Photography by Wknight94. 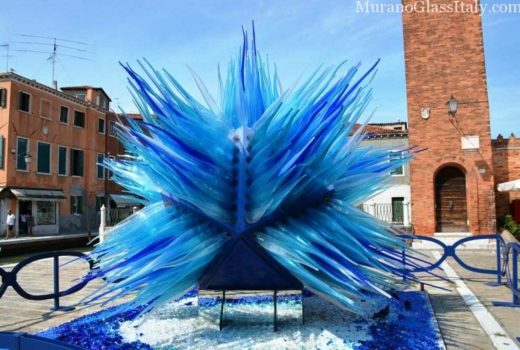 Here are the monuments to discover in Murano. The first one you will see is the Faro lighthouse at the boat stop. Standing at 35 meters tall, it has a light range of 30 kilometers. Unfortunately, the still-operating lighthouse is not open for visitors, but you can certainly admire it as you approach the island. There are three significant churches on Murano. The Chiesa di San Pietro Martire was built in the 15th century and is home to historical art pieces. 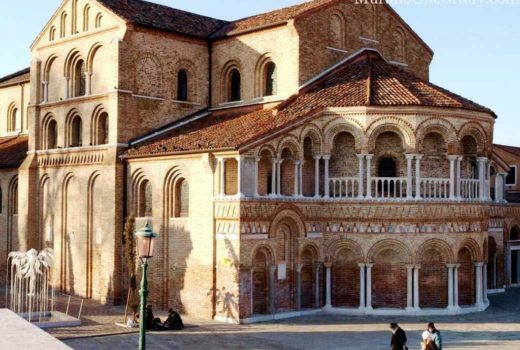 The most regarded church in Murano is the Basilica dei Santi Maria e Donato. Primarily, it was built as a homage to the Virgin Mary but was later dedicated to Saint Donatus of Arezzo. He became the patron saint of Murano after his bones were brought back and preserved in the church in the 12th century. The legend says that the bones behind the altar are those of a dragon he had slain in Greece. Basílica di Santa Maria, photography by Marieke Kuijjer. Located near the small canal of the Rio dei Vetrei is the third church, Campo Santo Stephano. What really makes the site special is the magnificent demonstration of Murano glass art in front of it. The large and splendid piece is just a taste of why Murano got its fame. That leads us to the heart of Murano culture, the glass making. Murano glassblowers are the elite. The trade, and its secrets, are passed down through generations. The business is kept in the family. There are a few crafters that will do presentations, but sadly the real masters of glassmaking are not open for visitors. However, simply by walking the streets of Murano Island you will see the talent of the hidden artists. 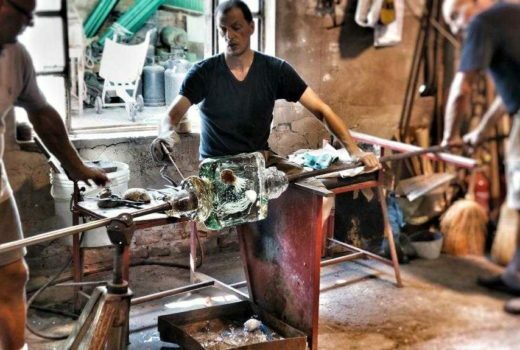 There are more glass shops than cafes, and there are furnaces operating behind doors on every street that are enhancing and evolving the art that brought Murano’s fame. The glass masterpieces of Murano are truly one of a kind. Now that you know more about Murano, why not own a unique and authentic masterpiece from a Murano glassmaker? We work directly with the artists, and you can find their work on our website. Every piece is guaranteed certified. Be proud of the art in your home, and hold a piece of Murano history and tradition to display for your family and friends.